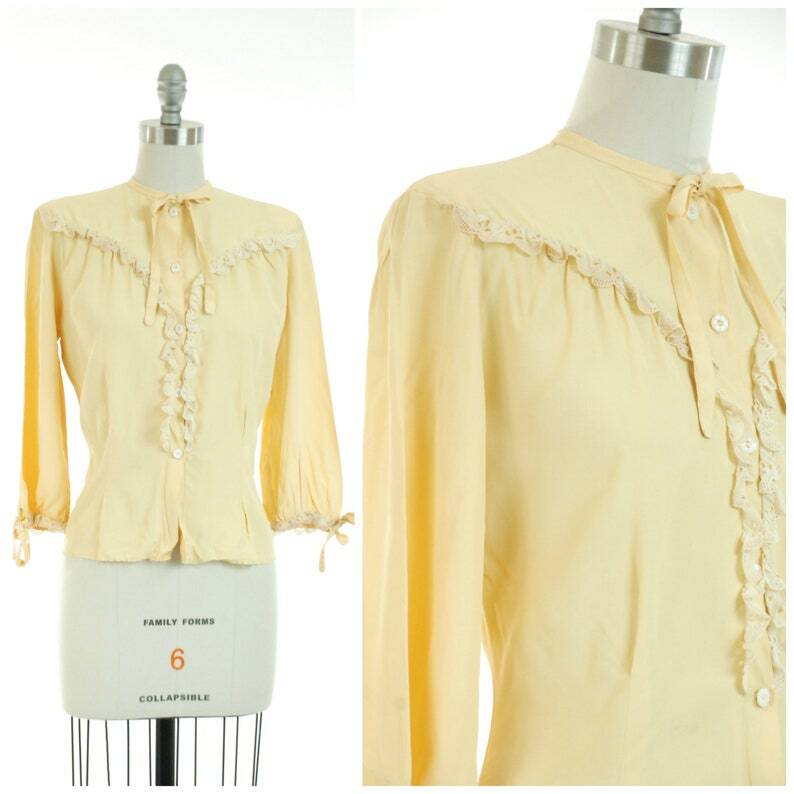 Vintage 1940s blouse in a soft and light weight sunshine yellow hue, a blend of rayon and acetate that is sleek but takes a crisp press well. It's a summery look with eyelet lace that starts at the yoke and follows down the placket. There is more at the cuffs of the 3/4 sleeves, which have a soft fullness. It is collarless, finished with slim ties - matching ties finish the sleeves as well. Darts fit the waist, and small pads define the shoulders. It closes with buttons up the front. 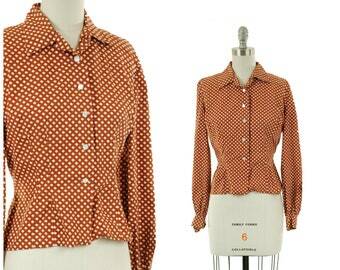 This blouse is hand cleaned and ready to wear. There is a small smudge below the waist, and a couple tiny spots on the right sleeve. The hem has unraveled and been hand whip stitched in the past. I find no other issues to note! Sturdy and ready to wear.